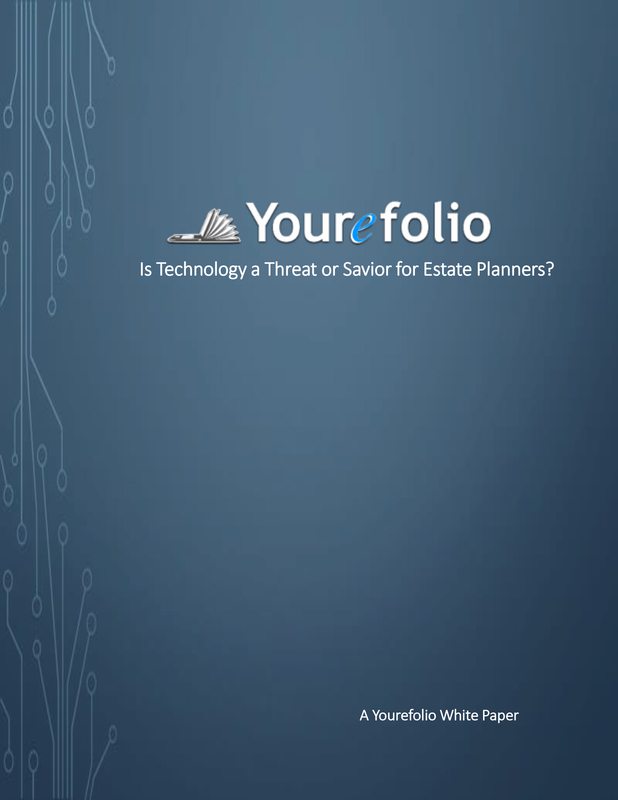 Is Technology a Threat or Savior for Estate Planners? Let’s face it, humans are very busy. Technology is changing manual processes to create efficiencies. Technology is evolving every day and moving toward replacing jobs that entrepreneurs feel there is an opportunity to disrupt. As technology continuously evolves, we have seen little movement in estate planning technology until recently. It appears more and more startups are targeting the practice of document drafting and particularly the area of estate planning. Start-ups like Estate Guru and EP Navigator target financial advisors to move their instant document service through the market. Their primary focus is to produce on the spot documents for advisors’ clients while advisors are in the discovery stage. They even find attorneys in each state to attach their names to the documents.